B&M Lifestyle | WINNER ANNOUNCEMENT - 2 Chances to WIN £100 Worth of B&M Vouchers PLUS a Wallpaper Hamper Each! 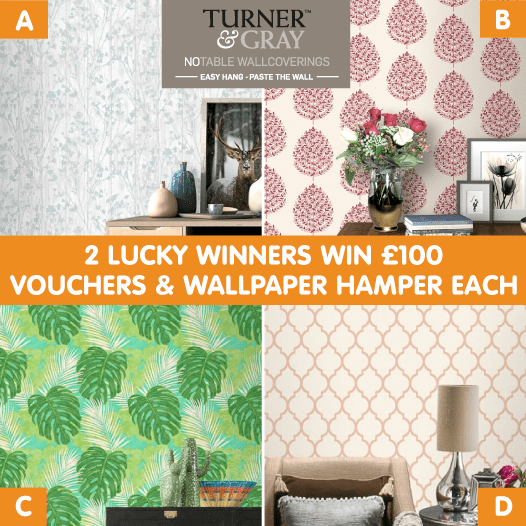 WINNER ANNOUNCEMENT - 2 Chances to WIN £100 Worth of B&M Vouchers PLUS a Wallpaper Hamper Each! Our fantastic competition to give TWO lucky winners a £100 B&M voucher plus a Wallpaper hamper has now finished! Kirsty Burnett & Marysia Kobierzycka! Congratulations! We hope you enjoy your vouchers and hamper!